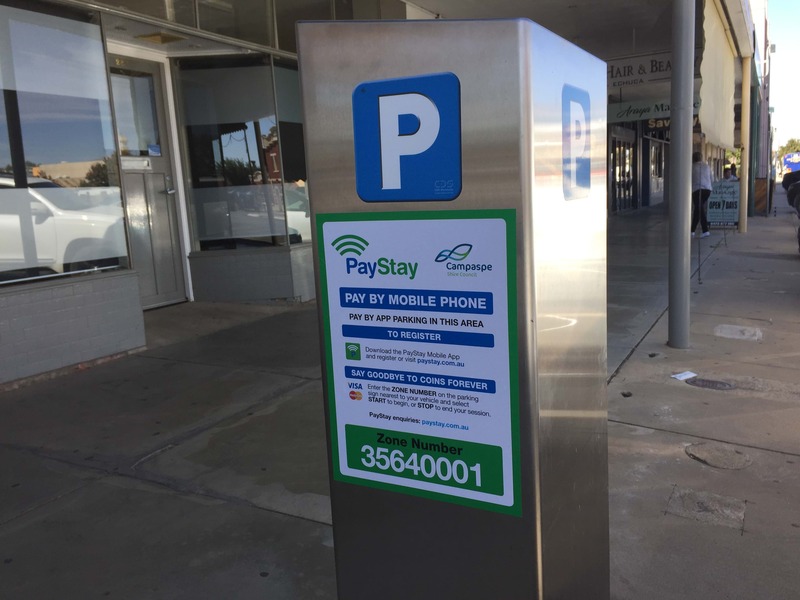 Campaspe Shire Council will start trialling a new parking payment mobile app, PayStay, in Echuca’s CBD from Wednesday, 17 April, allowing residents and visitors a cashless and stress free parking alternative. Mayor, Cr Adrian Weston said PayStay is a customer driven app that can be downloaded via google or an android store on your smartphone for free. “PayStay is the largest and most successful fully integrated pay by phone app in Australia and we are excited to be providing the trial of a new service to the community,” Cr Weston said. PayStay currently has more than 515,000 active users across the country – 346,012 of those are from Victoria of which 5,013 users reside within Campaspe Shire. Once the PayStay app is installed on a mobile device, a user simply transfers money into their account. From there, they select the relevant parking zone and hit the ‘start’ button. On return to the vehicle, the ‘stop’ button is pressed. “The app is user friendly and is a cost effective solution for providing the community with alternative cash free payment option,” Cr Weston said. Through the introduction of this parking payment option, council costs for meter management and fault repairs will be reduced. “The system provides valuable reporting and analytic details which will assist with issuing parking infringement notices and development of council’s parking policy,” Cr Weston said. Staff will monitor the use of PayStay and in November will seek community feedback about the value of the mobile service. This information will assist in a full evaluation of the trial which will be presented to council for consideration of PayStay’s future within Echuca. During the trial, the community will continue to be able to use all coin-fed parking meters.